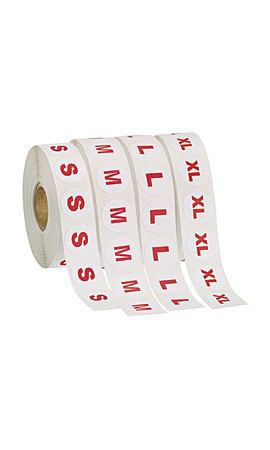 Our Sizer Label Kit is a smart way to label your merchandise on the sales floor. Customers will be able to easily see what size is available which will assist in keeping merchandise organized. Each kit features one of each: S, M, L and XL. Each label features a smooth 3/4" diameter white matte finish with red print. 1,000 labels per roll.